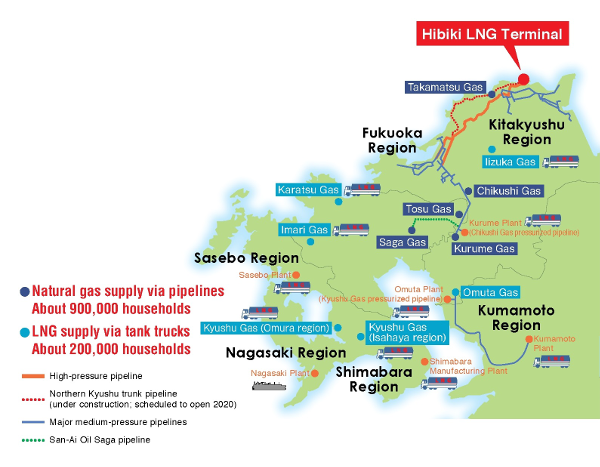 Company: Hibiki LNG Corporation Ltd.
Hibiki LNG Corporation Ltd., a company in the Saibu Gas Group, operates a large liquefied natural gas (LNG) terminal in Kitakyushu, a major city in northern Kyushu. Operational since November 2014, the Hibiki LNG terminal provides a stable supply of clean-burning natural gas to households and major industrial customers in northern Kyushu. As such it is contributing to the development of this region’s industries and to the development of a low-carbon society. The Hibiki LNG terminal is located on the Hibikinada coast, and offers ready access to the Sea of Japan and the East China Sea. The terminal can accommodate the world’s largest LNG carriers. The unloaded LNG is re-gasified at the terminal and sent out via the company’s pipelines to customers in the Kitakyushu and Fukuoka regions. In addition, a fleet of LNG tank trucks supplies LNG to satellite terminals and other gas companies in the Kumamoto and Sasebo regions. The Hibiki LNG terminal is an environmentally friendly comprehensive energy facility, harmonizing people, nature and society. Office energy is covered by renewable energies produced on site such as solar, wind and water power. A 22.4MW solar power station of the Saibu Gas group is located nearby and construction of a natural gas-fired thermal power plant is also planned. 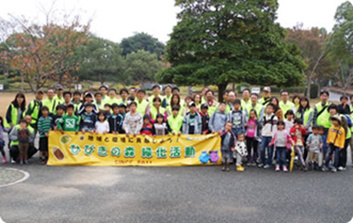 Afforestation efforts are underway in the adjacent Hibiki Acorn Park. Yokogawa’s CENTUM VP production control system was selected for the Hibiki LNG Terminal by the engineering procurement contractor (EPC) in consideration of a successful install base at another LNG terminal. Unloading and storage: LNG is unloaded from large-scale carriers for storage in two insulated 180,000 kiloliter LNG tanks. To maintain the gas in a liquefied state during the unloading process and when in storage, it must be kept at minus 162 degrees Celsius. This requires the constant monitoring of pressure and the regular release of boil off gas (BOG), which is then either piped to customers or returned to the LNG carrier to maintain pressure during the unloading process. City gas production: Based on demand, the LNG is re-gasified by an open-rack vaporizer that uses sea water as a heat source. The calorific value of the gas is monitored and adjusted as needed at a special facility, and the gas then undergoes odorization before shipment as city gas to end users. Tanker truck shipment: LNG is loaded onto tanker trucks at a logistics facility for shipment to satellite terminals and other locations throughout northern Kyushu. Safety is a paramount concern at a facility where large amounts of flammable natural gas are processed and stored. An additional concern of both industrial and household customers is the need to avoid interruptions in supply. Toward this end, the management center at the Hibiki LNG terminal monitors the status of plant operations 24/7/365. Specific processes controlled by CENTUM VP include the terminal’s unloading, storage, BOG, vaporization, and calorie adjustment processes. 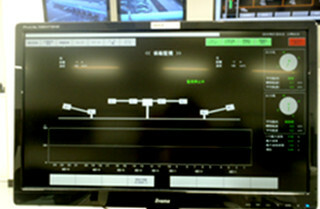 Conditions throughout the plant are monitored at human interface stations (HIS) located in the management center. 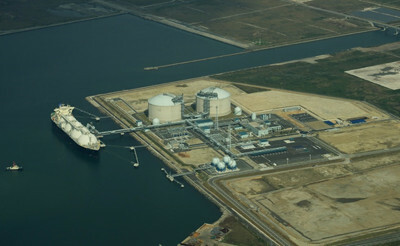 For added protection, the field control stations (FCS) utilized in the Hibiki LNG terminal are deployed in pairs, with control authority assigned to one FCS and the backup function assigned to the other. These paired FCSs constantly carry out the same calculations and compare their results. 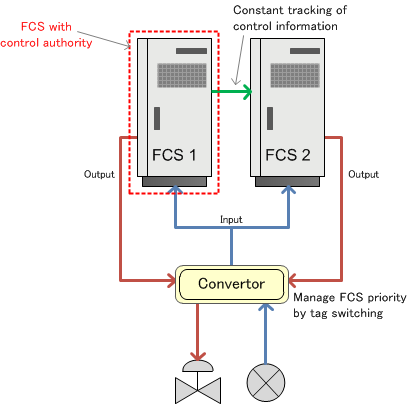 In the unlikely event of a malfunction in the control FCS, control authority for the process is automatically and seamlessly switched to the backup FCS, with no interruption in plant operations. 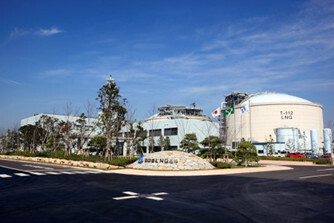 To date no FCS malfunctions have occurred at the Hibiki LNG terminal. 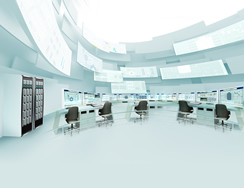 This dual redundant architecture is also useful when performing maintenance: either of the FCSs can be taken offline for inspection and maintenance without having to power down the control system. This prevents interruptions in gas supply while facilitating maintenance operations that keep the plant’s assets healthy and reliable. At the Hibiki LNG terminal, conditions are constantly monitored to ensure the safe unloading of LNG from moored LNG carriers. An LNG carrier is connected to the LNG terminal by a loading arm. If wind, tide, or wave conditions grow too extreme and threaten to shift the position of the vessel beyond acceptable tolerances, the LNG unloading operation must be terminated and in some cases the loading arm will have to be detached to protect both the unloading apparatus and the carrier. A berth monitoring system supplied by Nishikawa Keisoku Co., Ltd., a Yokogawa distributor, monitors wind direction, wind speed, tide level, and wave height with a variety of sensors. It also monitors such data as carrier berthing velocity during the docking process and tension in the berthing ropes. This data is processed by Yokogawa FA-M3 programmable logic controllers and centrally monitored at the management center. 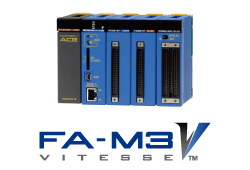 Featuring ultra high-speed, stable control, link functions and improved network performance, the FA-M3V controller is created by improving every aspect to deliver stable control at the highest speeds.